Delivering a major victory for Hughes Hubbard from the bench, Justice Charles Ramos recently dismissed billion-dollar accounting malpractice claims against client PricewaterhouseCoopers hf. by the receivers of Iceland’s third-largest bank. The decision put an end to Glitnir banki hf.’s efforts to litigate claims in New York. The bank had based its case on its use of the New York capital markets to raise billions of dollars and the fact that some former Glitnir managers had allegedly diverted monies from the bank to buy high-end apartments in Gramercy Square. In 2007, Glitnir held a private offering of Medium Term Notes in New York and elsewhere. The bank succeeded in raising $1 billion through the offering. PwC Iceland, Glitnir’s former auditor, had issued a comfort letter to support the bank’s efforts to raise capital in New York. Afterward, Glitnir’s insiders allegedly engaged in a series of related-party transactions — each involving Icelandic companies controlled by insiders or their relatives — that stripped roughly $2 billion in capital from the bank. Glitnir alleged that PwC Iceland knowingly assisted the insiders in their theft because Glitnir’s financial statements did not properly disclose the bank’s related-party transactions. Glitnir also argued that PwC Iceland should be liable for the loss, since it assisted with the offering. And while all defendants are Icelandic and the thefts occurred in Iceland, Glitnir brought the claim in New York, saying New York has an interest in regulating the capital markets. Defendants argued that New York was not the proper forum and that the case should be dismissed in favor of the Icelandic courts. PwC Iceland also noted that its contract for issuance of the U.S. comfort letter contained a clause designating Iceland’s courts as having exclusive jurisdiction over disputes related to the offering. 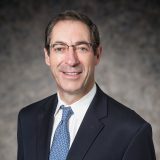 Recognizing that Justice Ramos did not want to hear an extended argument, Jeff Greilsheimer immediately provided a copy of the contract and briefly explained the reason for dismissal. Moments later, Justice Ramos dismissed the complaint in its entirety, provided that the defendants submit to the jurisdiction of the Courts of Iceland. The case has been the subject of significant press coverage in Iceland. Bill Maguire, Jeff Greilsheimer and Gabrielle Marshall worked on the matter, while George Davidson provided invaluable assistance in mooting and preparing for argument.